How many times have you glanced up into the skies and wished you could soar like a bird? Well now you can. Come and visit us, and you can fly over the Warwickshire countryside. You will enjoy fantastic views of the famous town and its river, the nearby towns and cities, and the neighbouring counties. All of this will be combined with the sheer thrill of near silent flight. You will have the opportunity to fly the aircraft yourself, with the help of an instructor, and if you feel the urge, you can join the club and we will teach you to fly. A gift which soars high above the rest for friends and loved ones. 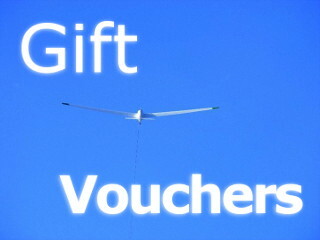 Gift vouchers offer an unforgettable experience for anyone who has looked up at the sky and dreamed of being there. You will be given one-on-one tuition with a qualified flight instructor in one of our training gliders. Our excellent value trial lessons offer the first step on the path to becoming a Glider Pilot. 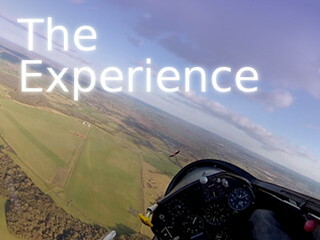 Air Experiences Experience the aerial sights of Stratford and Warwickshire as you soar over the local countryside qualified pilot who will introduce you to the sport of gliding. Stratford on Avon Gliding Club is located at Snitterfield just North of Stratford on Avon. It isthe closest gliding club to Birmingham City Centre and draws members from across Warwickshire and the West Midlands.